Just as the Candidates tournament 2014 is entering in its decisive phase, multiple live events are starting all around the world. Chessdom will provide 24/7 coverage with analysis, here is a list of the most important events of the week. Latvian Railway Open will be one of the top rapid championships of the year. 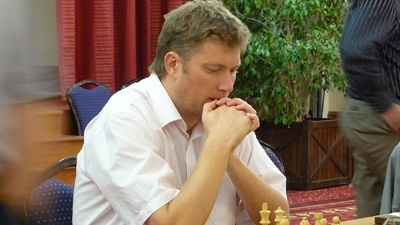 Participants include Vassily Ivanchuk, Alexei Shirov, Vladimir Malakhov, Sergei Zhigalko, Viktor Bologan, Loek Van Wely, Igor Lysyj, Ogor Kovalenko, Daniel Fridman, David Navara, Sergei Azarov, etc. The Polish Chess Championship for Men is taking place March 25 – April 2. A total of 22 players participate, of them 12 are Grandmasters. Top seeded is Radoslaw Wojtaszek (2713), followed by Mateusz Bartel (2662), Bartosz Socko (2651), Michal Krasenkow (2640), Grzegorz Gajewski (2631), Dariusz Swiercz (2631), Kacper Piorun (2570), Tomasz Markowski (2566), Jan-Krzysztof Duda (2563), etc. The 7th Women Continental Chess Championship of Americas is taking place 21-29 March 2014 in Villa Martelli, Argentina. It is a 9 round swiss tournament with 26 participants from Peru, Cuba, El Salvador, Brazil, Venezuela, Paraguay, Chile, and Argentina. Among the top seeded players are Daisy Cori, Carolina Lujan, Maritza Arribas Robaina, Paula Paredes Bustamante, Marisa Zuriel, etc. The winner of the tournament qualifies for the next Women World Chess Cup. The strongest computer chess championship TCEC enters its decisive rounds. Currently Komodo and Rybka are heading the table with 5,5/7, half a point ahead of Stockfish and Fire. Houdini is suffering and trailing at 8th position with 3,0/7, but it has all the chances to recover in next rounds. Today is a rest day at the Candidates 2014. The action restarts again tomorrow. Replay the games from the first 12 rounds and follow the action live here of Saturday.